Situated in the very heart of Hampstead’s thriving high street, Seraphine’s Hampstead Maternity Boutique opened in 2007. Seraphine encapsulates a simple maternity belief: it is important to feel comfortable during your pregnancy, but equally as important to feel confident in what you are wearing. The shop has experienced impressive growth alongside Seraphine’s other stores and online service, which has seen considerable success, becoming one of the leading online stores for designer maternity wear. 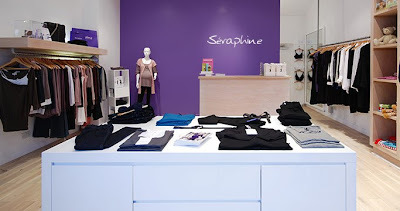 The popularity of Seraphine’s website has been vigorously supported by its stores, notably the Hampstead store and its flagship store in Kensington. These rigid foundations have created a thriving online presence, contributing to its ongoing expansion. Seraphine offers designer maternity wear at affordable prices, ensuring that fashion-conscious women no longer have to compromise between style and comfort when it comes to selecting maternity wear. Seraphine’s varied and modern style fuses the need for comfort with the desire to look stylish and sophisticated. In recognition of its year-on-year growth and online store, fashion business magazine Drapers, awarded Seraphine’s e-commerce site with ‘Best Specialist E-Tailer 2011’. 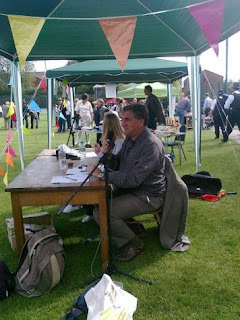 This momentous victory saw Seraphine competing against the likes of John Lewis, ASOS, and Jimmy Choo. Most recently Seraphine launched its ‘Luxe’ collection at the Ritz; a celebration to mark its new line of dresses for special occasions and the opening of its first UK concessions, in partnership with John Lewis, which can be found in the Peter Jones department store by Sloane Square. Without the success of Seraphine’s Hampstead store, none of this would have been possible. The Hampstead boutique offers the complete range of Seraphine styles – and any style not available can be ordered for collection 48-hours in advance. Whether you are looking for dresses, jeans, casual tops or even luxurious dresses for special occasions, check out the Seraphine store on Hampstead High Street.